Details have been announced for the upcoming Grace Jones Symposium to be held at Edinburgh University's College of Art on October 5 and 6. The event follows the success of a similar previous event in 2016 on the Pet Shop Boys with the symposium forming the second in an ongoing international series devoted to exploring the topic of 'the iconic'. As part of the event, there will be keynote talks by filmmaker Sophie Fiennes, director of the forthcoming documentary Grace Jones: Bloodlight and Bami, as well as the UCLA theorist Uri McMillan. Across a number of panels and discussions, invited guests will examine various key aspects of Jones' extraordinary career over several decades in music, art and film that include collaborations with designer Jean-Paul Goude and artists such as Keith Haring and Andy Warhol. There are sessions looking at her style and fashion choices, style of performance, production history and legacy and influence. The team promise art, dance, music, screenings and nightclubbing. Grace under pressure from the art boffins…isn’t it wild? 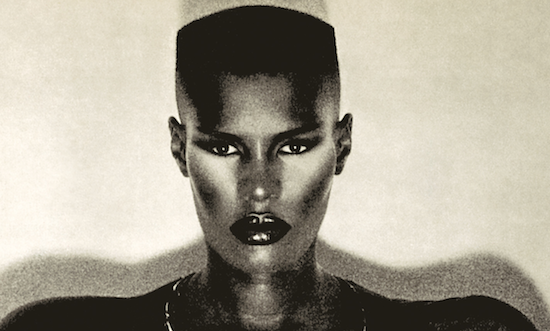 Registration opens via the Grace Jones Symposium site here on Wednesday (August 2).